The electrics in a kitchen, if not properly planned, can completely ruin its design and functionality. A modern kitchen has so many electrical appliances, that poorly placed sockets could affect the desired layout and cause electrical problems and faults. PGS Electricians provide a full range of kitchen electrical work including all types of repairs and installations. Many of the appliances are high amp and bulky, which means they will need their own individual circuit. If too many appliances are placed on just one, it can overload and cause fire and safety hazards. PGS can not only install enough circuits for the larger appliances, but it is a good idea to have more, unclaimed sockets, for future use. In some cases, a kitchen design may call for the sockets to be relocated so they are concealed, this can hide unsightly cables. Concealing sockets is also a good idea for those houses with young children - keeping a switch out of sight or reach of children could save yourself a freezer full of food. Electric ovens have a number of benefits over their gas alternatives, for one they are readily available to everyone, unlike gas ovens which can prove expensive to install for those with no gas supply their house. As well as this though, the electric oven is more energy efficient, converting between 12 and 13 percent of the energy used into heating food - this is twice what a gas oven will convert at roughly 6 percent. Electric hobs host many of the same benefits, but have the added ease of cleaning. In many cases a gas hob will require parts to be moved to ensure thorough cleaning, whereas many of the modern electric hobs lay completely flat, and cleaning is as simple as wiping down the worktop. Electric appliances also eliminate the risk of gas leaks. 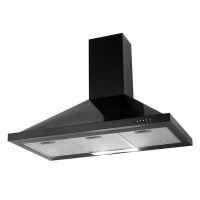 Extractor fans and cooker hoods are another electrical appliance that can greatly benefit a kitchen. They quickly vent heat, moisture, steam and odours out of the room, which helps prevent a build up of grease and dirt, as well as making the environment more pleasant to cook in. Having an extractor fan can also help defend against mould and bacteria, which can form quickly in a moist and poorly ventilated space. PGS are fully equipped to deal with any kitchen problems you may come across - with Plumbing and Gas engineers also available, as well as Handymen, we can carry out almost any step of kitchen maintenance and installation.